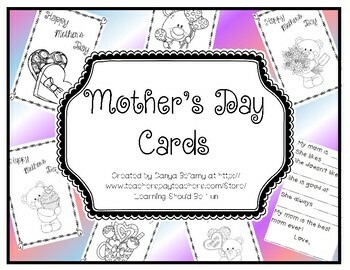 This set includes 8 different Mother’s Day cards to choose from. 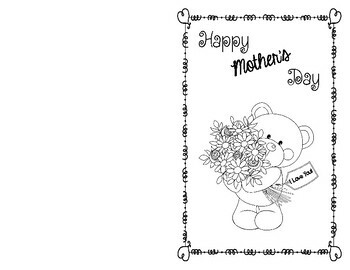 Copy your chosen cover front to back with the inside sheet and then fold it in half. 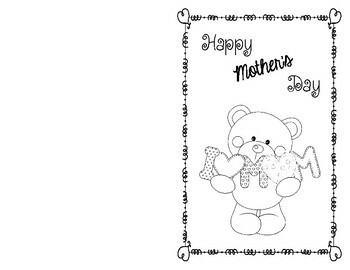 Have kiddos color the cover and finish the sentences about their mom’s on the inside. Or if you prefer they write their own poem or message inside just copy the cover, fold and color before writing on the inside.